Luxurious and spacious, this modern Shower Room installation by European Bathrooms was just the thing to transform this tired bathroom. See how we did it here. 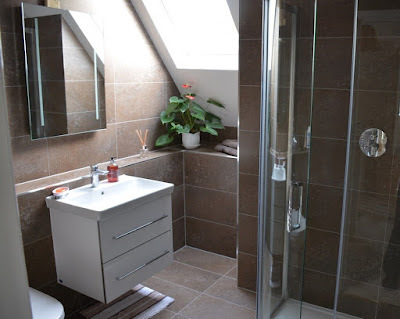 Renovating the shower room was part of a three-room project at this client’s home in Wallingford, Oxfordshire. 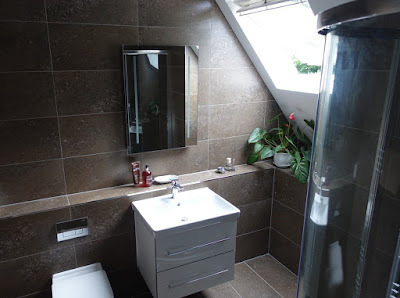 Alongside turning the dated bathroom into a sumptuous new shower room, we renovated a further bathroom and cloakroom. 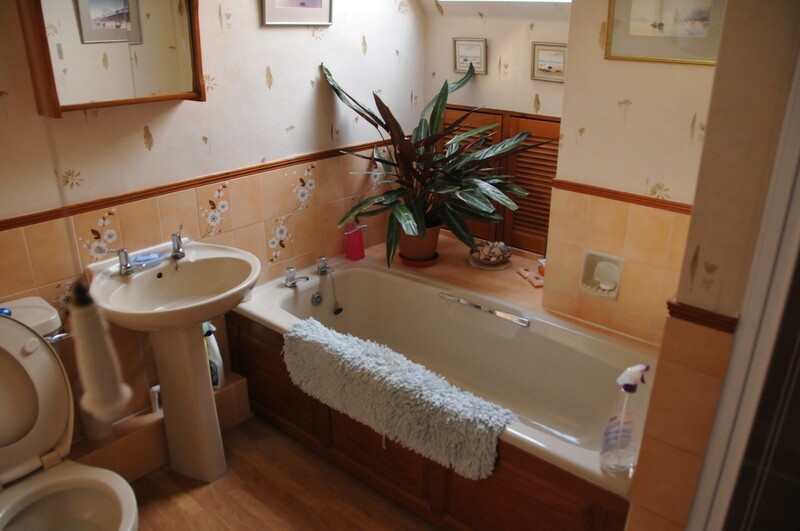 Flower Power: The old bathroom needed a modern makeover. 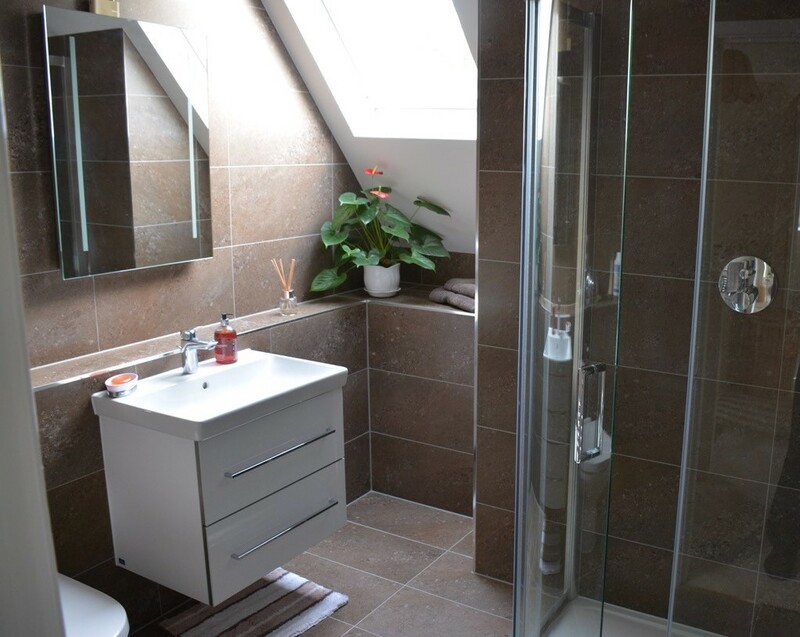 To make the most of the space, we removed the existing bath, separate shower cubicle and dividing wall, replacing it with a much larger, more spacious shower enclosure. We further optimised the space by installing a wall-hung washbasin and vanity unit – providing plenty of storage - and an elegant, practical WC unit with concealed cistern. Our professional installation team undertook all the elements of the renovation. This included removing the old bathroom suite and wall coverings, plumbing in the new shower system, basin and WC, tiling the walls and floor and fitting new lighting. During: The room stripped back to bare walls exposing the supply pipes. As with all our bathroom projects, the layout for the new shower room was created by our in- house designers using latest 3D software. This enables us to make the best use of the space and show the homeowner what the final room will look like. 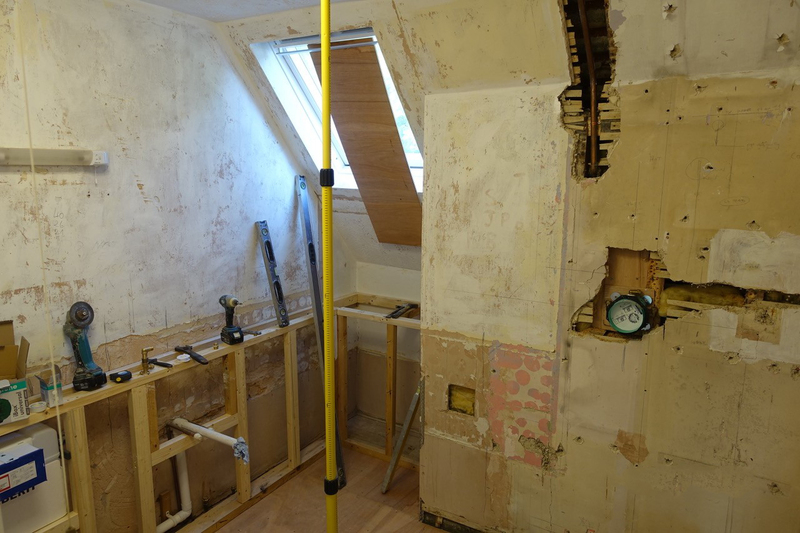 Careful planning during the design stage also eliminates the risk of finding something unexpected during the work, leading to a seamless, swift refurbishment. After: The fresh, contemporary new shower room. Contact European Bathrooms to discuss your luxury new bathroom or shower room. You can either call into our bathroom showrooms in Amersham and Windsor – where our expert designers are on hand to show you the latest bathrooms and help plan your dream layout - or arrange an at home appointment by completing the enquiry form here.